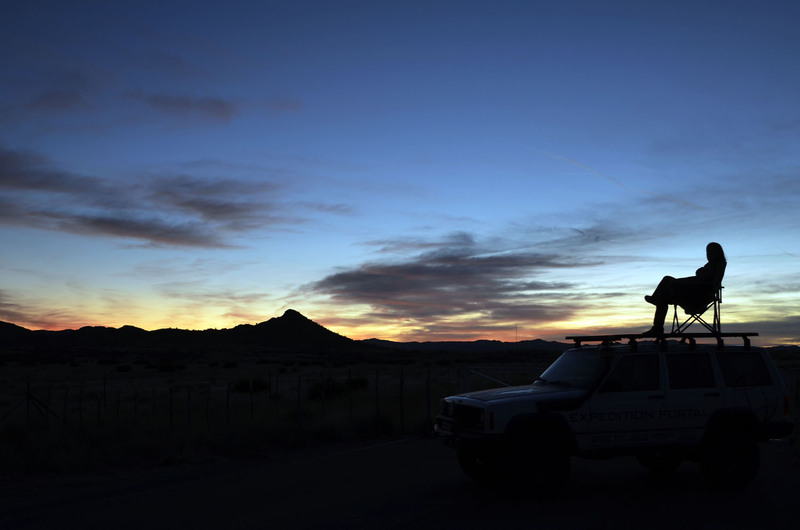 For decades, only a few items have lent themselves useful in enhancing a true overland vehicle—one of them being the roof rack. Vintage pictures fill the Internet with Land Cruisers and Defenders loaded to the sky with tents, fuel, and everything else imaginable. 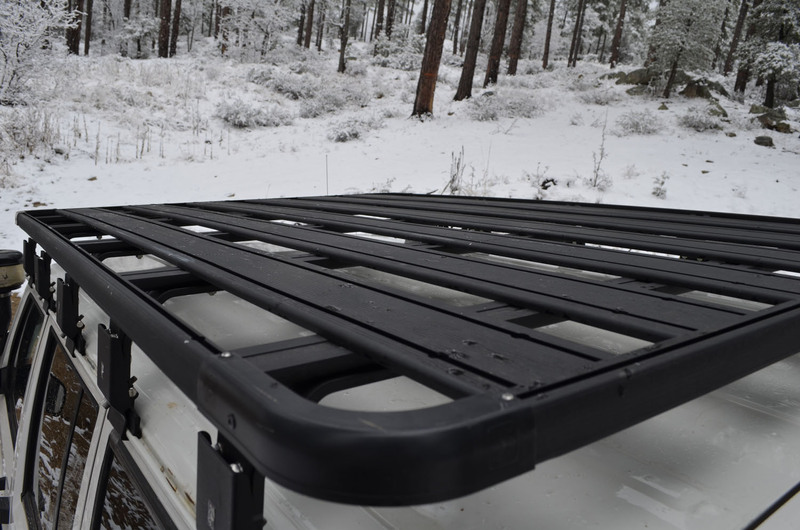 Roof racks set the stage for form and function long ago, and remain a constant need in the overlanding world. Trucks have changed though, becoming lighter, faster, more aerodynamic, and quiet. To keep up with these advancements Eezi-awn developed the K9 roof rack. 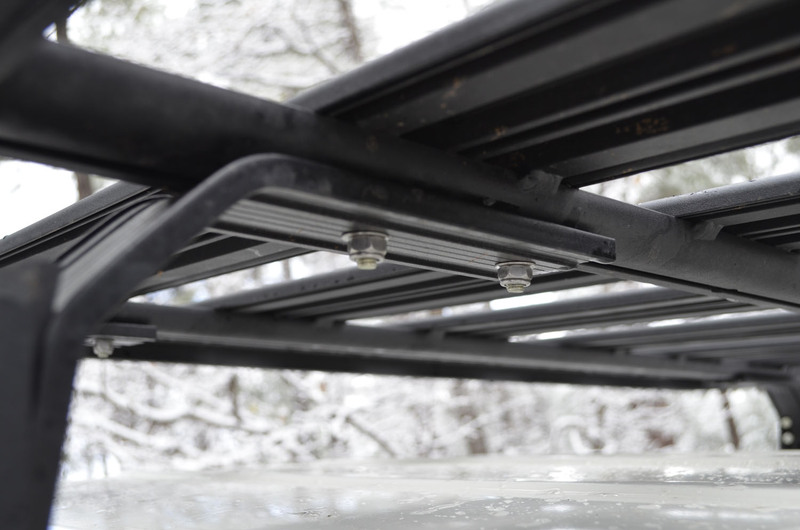 It’s an expedition-quality rack designed to play in the modern world. A roof rack system is only as strong as its weakest part. Eezi-awn took this to heart when designing the K9’s platform. Choosing to fully weld all of the joints results in an incredibly robust product, and also eliminates the chance for bolts to loosen. Mating it to an array of vehicle-specific mounting hardware allows for a proper balance of loads. 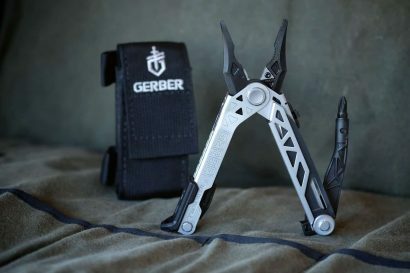 These solid and straightforward parts will take a thrashing while carrying more than you would ever conceivably want in a roof load. Auto manufacturers spend millions working on aerodynamics and noise control. It would be a shame to throw all that away with a generic roof rack solution. 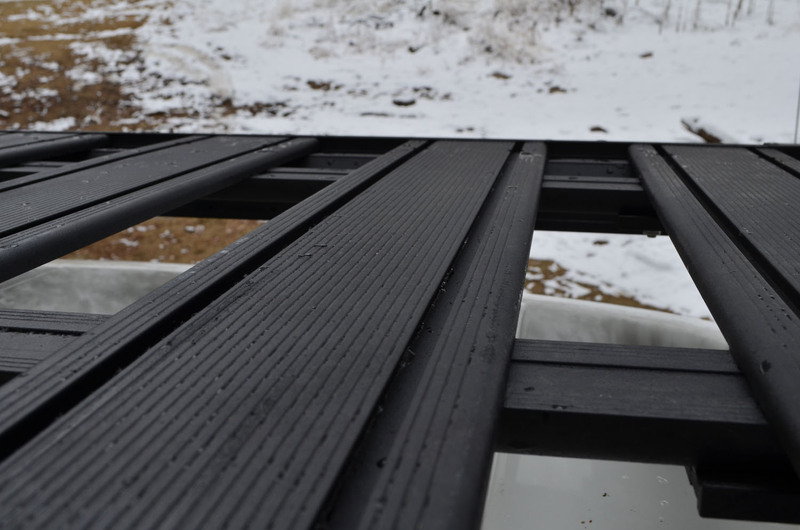 The K9 is designed to reduce noise: at 1⅜ inches thick, it is one of the thinnest racks available, and all of the platform surfaces use rounded edges, with the slats running from front to back. This gives wind very little to catch on, keeping everything smooth and quiet. An included front spoiler helps to regulate airflow and keep buffeting at bay. Being a strong, quiet, and good-looking rack won’t do you any good if it’s impractical to use. Luckily, Eezi-awn got the memo and pulled out all the stops when it came to functionality. All of the slats have multiple channels built into them to allow the mounting of hex head bolts. This is also the case with the crossbars and side rails. You can mount a nearly infinite amount of things to the top and bottom of the rack, while still being able to properly lash down a load. There are a number of attachments to match the rack for tables, jacks, and shovels, as well as Eezi-awn’s highly regarded tents and awnings. 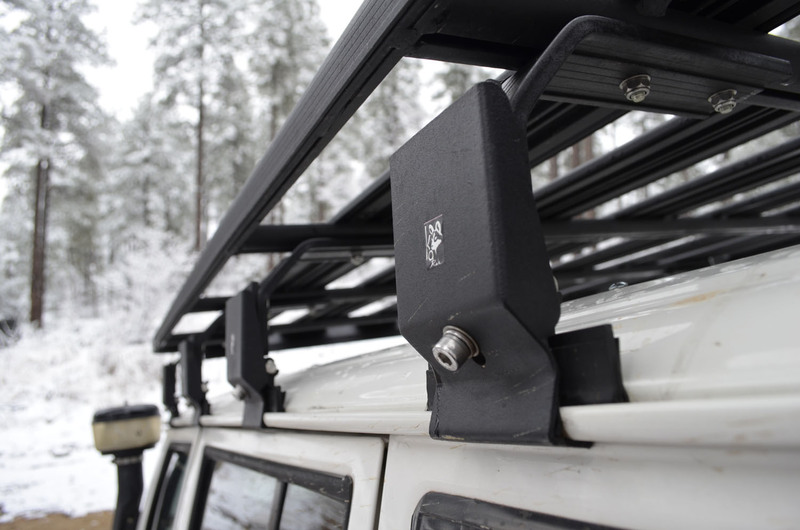 The K9 system is not just a proprietary set of solutions to keep the consumer on the hook; both Yakima and Thule cross bars and accessories are compatible to help keep you from buying parts that you may already have. Most will scoff when I tell you that a roof rack for a little over $1,400 is a value. I have paid the price both ways though and assure you that it is. For my Jeep Cherokee, four Yakima or Thule cross rails and an appropriate-sized basket runs over $1,100. Three hundred dollars is a much smaller margin when you are light-years ahead in versatility and strength. 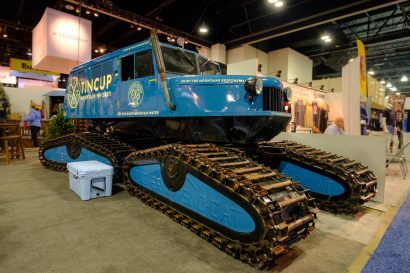 Throw in the cost of replacement mounts when the composites break down from UV rays and miles of washboard roads and now you are on an even playing field, financially speaking. Eventually you may sell your truck and want to try and keep as many hard-earned goods as you can. 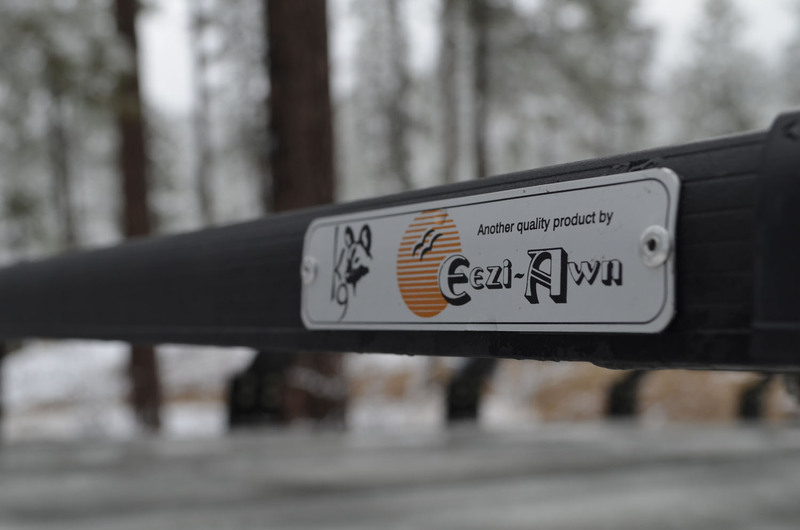 Eezi-awn only has four different platforms, so with a simple swap of mounting hardware your new ride will be set—without having to purchase a whole new system. The K9 rack is an investment that will pay out over time. The initial price tag may sting at first glance, but after comparing it to à la carte systems the advantages are clear. 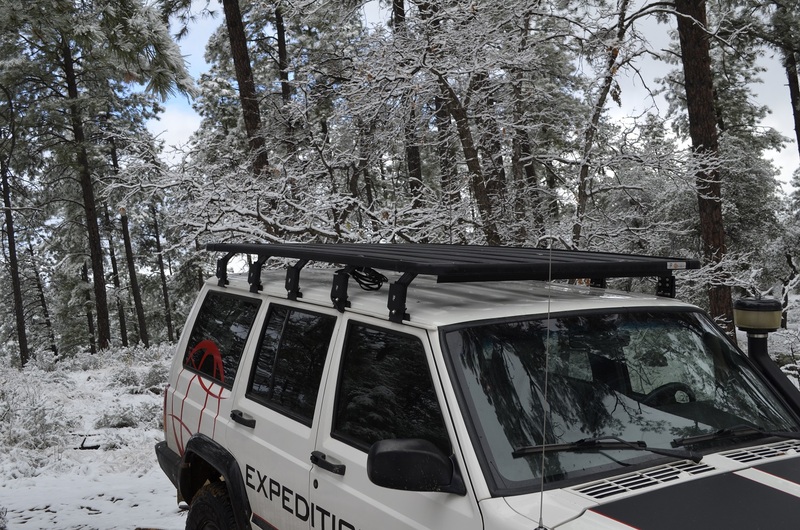 K9 roof-racks and other great Eezi-Awn Products are available through Equipt Expedition Outfitters. Growing up on a used-car lot in Prescott, Arizona, Chris Ramm developed a passion for automobiles at a very early age. While most children had treehouses, he played in a 1960 Ford Sunliner convertible which quickly became his first project car. 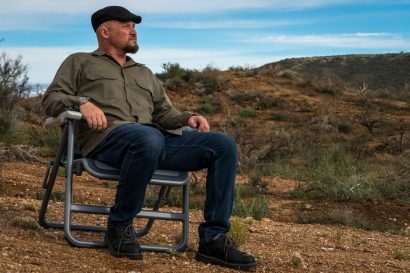 As soon as he received his driver’s license, Chris frequently found himself driving across state lines for something as small as an ice cream cone or slice of pizza. 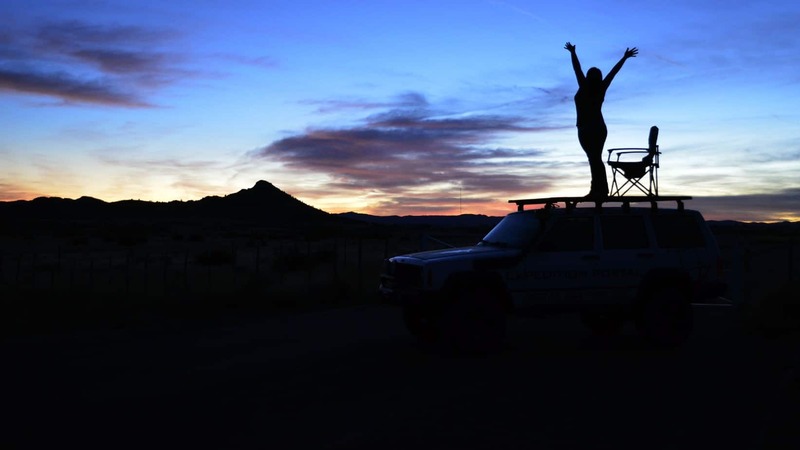 When he bought his first 4wd vehicle, a 1998 Jeep Cherokee, he started exploring the numerous trails in the southwest and hasn’t stopped yet. When you can’t reach Chris on his cell phone, it is safe to assume he is out in the forest finding new trees to hang a hammock between and enjoying a local brew.